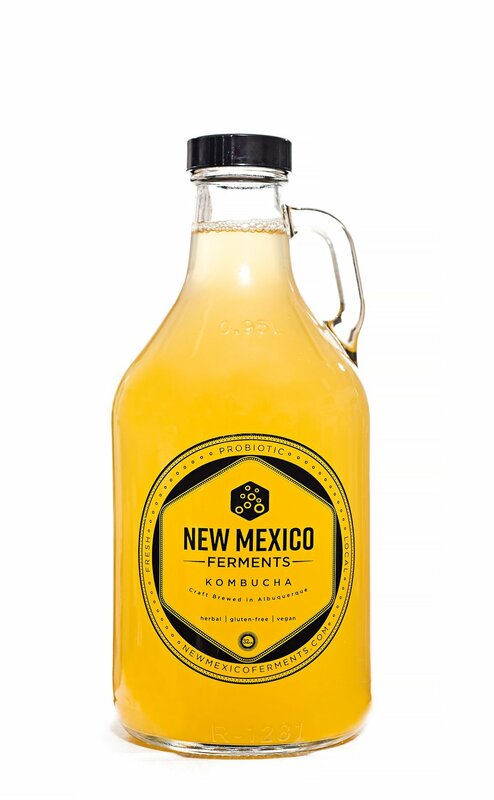 NEW MEXICO FERMENTS KOMBUCHA IS A DRY, SMOOTH, EFFERVESCENT, FERMENTED GREEN TEA THAT IS BOTANICALLY SPIKED. New Mexico Ferments was founded in 2017 out of a sense of adventure, a quest to nourish our body’s ability to heal, and a desire to support our families and local community. We are a food and beverage company that specializes in fermentation. We create probiotic rich and botanically infused products, primarily KOMBUCHA. The company's managing member and head brewer, Kara Deyhle, was born and raised in Albuquerque, New Mexico and has spent most of her life here. She has a long history of interest in fair trade, small business development, natural medicine, and spirituality. She is a strong believer in herbal medicine, food medicine, and our bodies ability to heal itself. Kombucha and probiotics have played a large role in her journey and she is happy to share that with others. As a company we are part of community of creative and curious individuals who are seeking...We are a team of 4-5 committed individuals who work tirelessly to bring you the best we can offer. Our products are made locally in Albuquerque, New Mexico. To cultivate wellness through producing the finest quality fermented foods and beverages.We promote symbiosis by carefully sourcing nutrients, building relationships, and supporting our local community.